Today a Triathlon for breakfast. 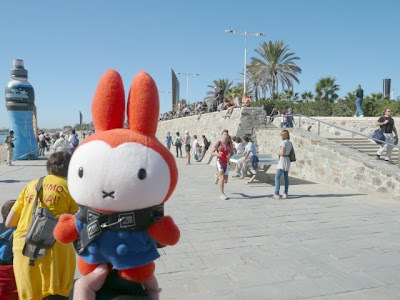 [ENG] FB and Draculina went to Mar Bella Beach were people were swimming, cycling and running. Father bunny is still training for the Marathon and he has no plans to compete in a Tri event. We were there just to take pictures and we took there our “beast” with quite good results. [ESP] Papa Conejo y Draculina fueron esta mañana a la Playa de la Mar Bella donde se celebraba un evento deportivo en el que se nada, se va en bicicleta y se corre. El viejo sigue entrenándose para su maratón y de momento no quiere – o puede- con esto. Sólo fuimos a sacar fotos y nos levamos a “La bestia” y los resultados fueron bastante buenos. 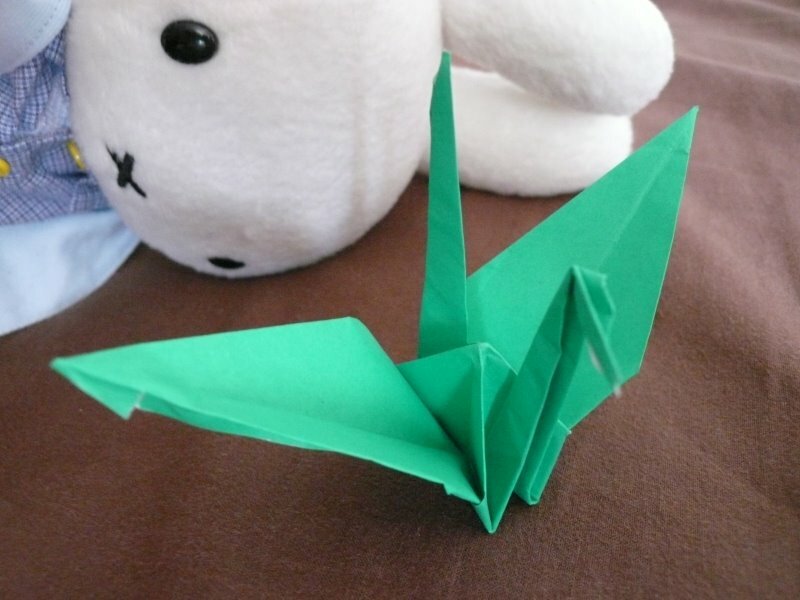 Lately I must reckon that all my blogging efforts are over Miffu and Father Bunny’s shoulders. As you surely know my twin sister has arrived from HK. I didn’t even know that I had one twin sister. When Miffu and Father Bunny told me that they have hired a private eye from HK to follow some clues they have had over the time I was shocked. After almost two weeks spending all my time with my sister, sometimes I wonder if this is not just a dream. Two sisters that were separated when born and lived a very different life for the past four years. It’s like in one of Mother Bunny’s favourite movies: Woody Allen’s Match Point. Fate and destiny depend on fragile pieces. Sometimes it makes a big difference to stay on one side of the line or another one. Who was in the right side and who was in the wrong side is difficult to determine. For sure my sister has not lived an easy life during past years. Miffa is 3 years old. 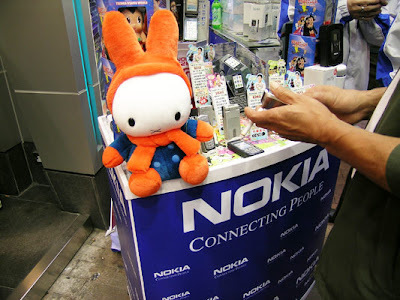 Three years ago in Hong Kong Island centre a nice little bunny was in a dark warehouse with other bunnies. They were waiting for someone to adopt them. The first time I saw her picture I knew that I needed to take her back to Barcelona. I convinced Mother Bunny and on January the second we were in Fortress filling the paperwork. 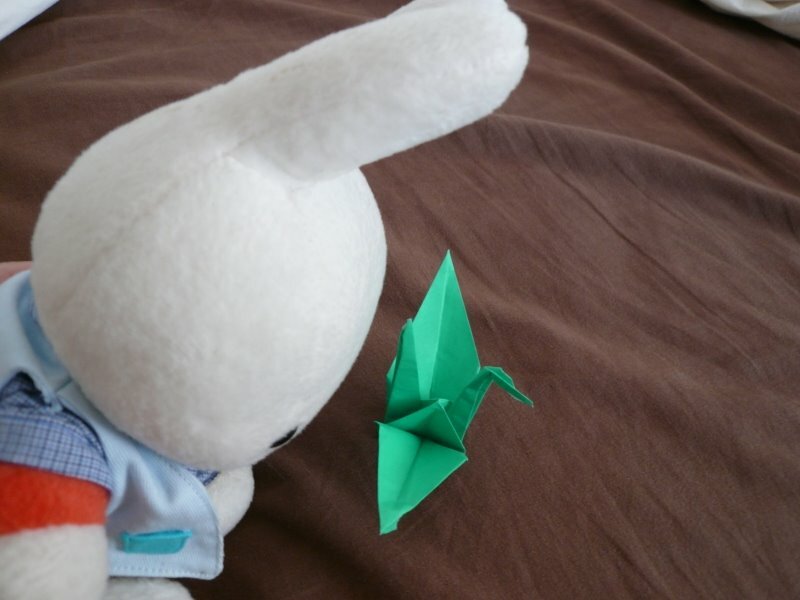 First the attendant offered me another bunny but my determination was very strong and I politely ask him for Miffa. At the beginning Miffa has no name but we decided to name her like this during her first month in our house. Then Miffa grew up and she wanted to have a blog to write about her life and to place pictures of her adventures. 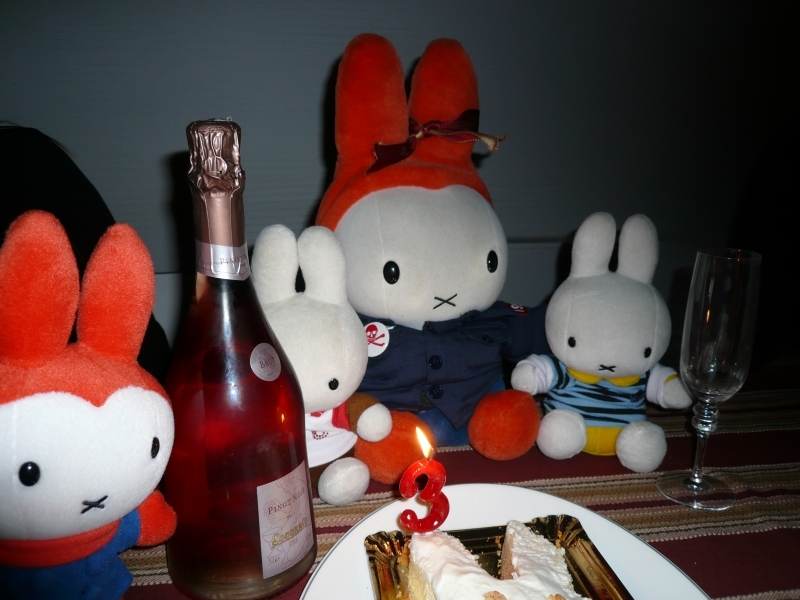 In her first birthday he returned to Hong Kong and we adopted her sister Miffu. Then many adventures and travel around the world, many friends in many places and last year bunnies coming from Japan for cultural exchange – Kiiroko and Chairoko- and her sister Miffo living in Tokyo. 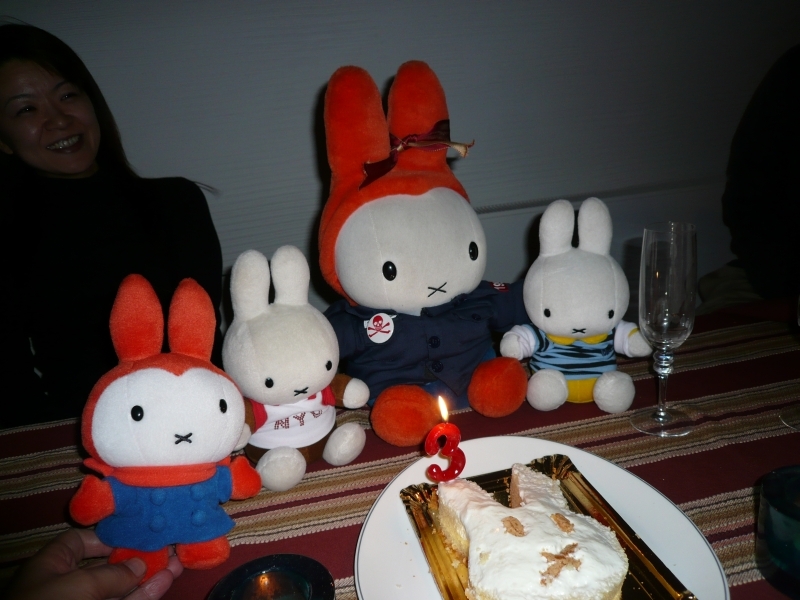 This year our Café miffy friends from Japan visited us in our new apartment. Yes, Miffa has been living in three different apartments (but now she has their own private room and bath). Happy Birthday Miffa we all love you a lot!!! !